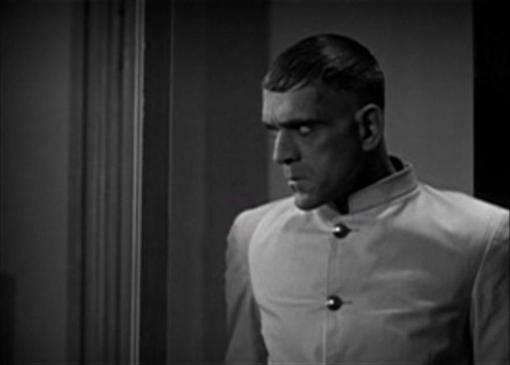 My title should probably read "Starring Walter Huston and Phillips Holmes," but I don't think you can blame me for naming Karloff instead. 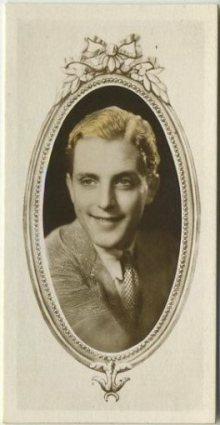 Galloway, a role Karloff had taken over on the stage for the Los Angeles run of The Criminal Code, after it had already run twenty-two weeks back East on Broadway, was an important role for Boris in the busy year that would later see him rocket to fame as the monster in Frankenstein (1931). 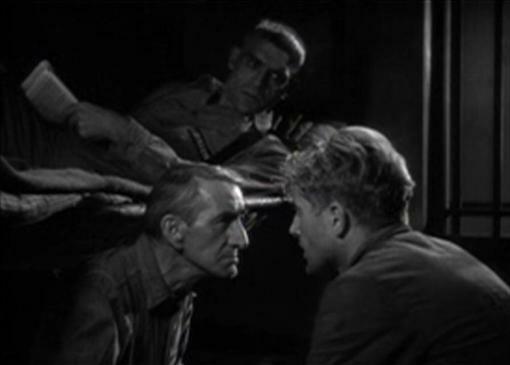 The screen version of The Criminal Code was directed by Howard Hawks who cast Karloff in the film after seeing him in L.A. and being, as Scott Allen Nollen writes in his Karloff biography, A Gentleman's Life , "impressed by his self-effacing, professional manner and his nonverbal acting capabilities, particularly the subtle menace he could evoke with facial expressions and bodily stance" (36). 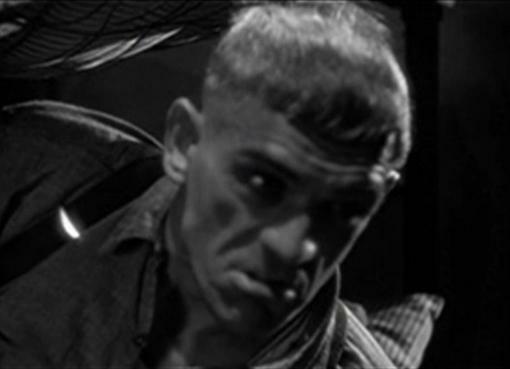 Indeed Karloff's square-haired Galloway is one scary fellow whose menace makes him the focus of every scene he appears in. The play was written by Martin Flavin and opened on Broadway October 2, 1929 running right through the Stock Market Crash and beyond into March of the following year. Howard Hawks loved the first couple of acts of the play but thought the finish fell flat, so once the project was in his hands he more or less let the inmates run the asylum when he gathered about twenty convicts together, left them with the script, and told them to come up with his ending. According to interviews with Hawks he wound up going with what they gave him. The script, by Seton I. Miller and Fred Niblo, Jr., but certainly with Hawks' own stamp on it as well, went on be nominated for the Academy Award for Best Adaptation. The Columbia film would open in New York, January 3, 1931, and go on to do strong business buoyed by the general vogue for prison movies already begun with MGM's release of The Big House starring Wallace Beery and Chester Morris in June 1930. 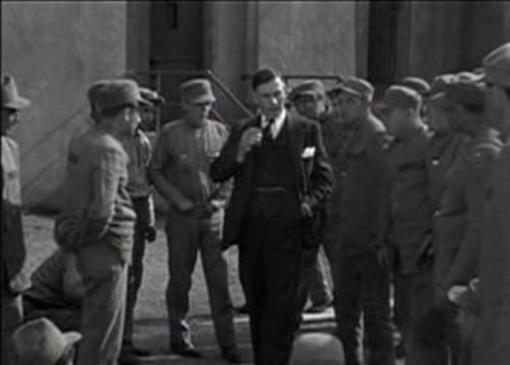 Incidentally Columbia would use the same lot that MGM had used for that earlier picture to film the yard scenes in The Criminal Code, including the famous scene where Walter Huston's Brady arrogantly struts among the prisoners to quell their yammering. Brady takes over his yard. The movie opens with a pair of policemen playing cards as word comes through of a violent crime breaking out at Spelvin's, a speakeasy run by Paul Porcasi's Tony Spelvin who we only see in this single scene. A man is dead and Gertrude (Ann Doran) was at the center of attention but doesn't want to talk. 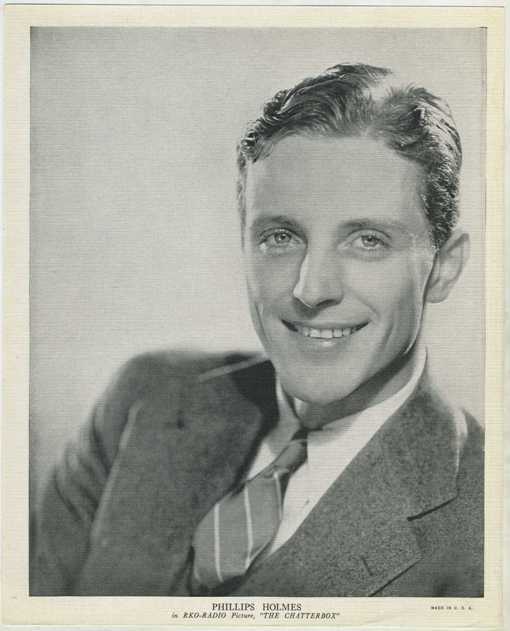 The killer, his head in his hands over what he has done, is played by fresh-faced Phillips Holmes who reminded me of a cross between a fairer-haired Douglas Fairbanks, Jr. and a softer-featured Leslie Howard. Holmes' Robert Graham ("Anyone ever call you Bob?") was dancing with Gertie when the victim interrupted and got fresh with the party girl, later revealed as a Spelvin's regular. When the victim reached to his back pocket for a handkerchief Graham mistook his actions as reaching for a gun and cracked him over the head with a heavy glass water bottle. The man fell dead and as D.A. Brady soon tells Graham, "Tough luck, Bob, but that's the way things go." Brady tells Bob's criminally inept defense lawyer that he's going to go after the kid for second degree murder stressing to him that there'd be no favors as, "The Criminal Code is my Bible." What's interesting is that the title of the film turns out to be as much about the code among inmates inside of prison, specifically that preventing squealing, as it does to Brady's ties to the more literal criminal code he refers to here. When Bob's lawyer whines that Brady is being a little tough about this whole thing Brady erupts saying, "An eye for an eye. That's the basis and foundation of the criminal code. Somebody's got to pay." And pay Bob does, with a ten-year sentence for manslaughter that we pick up on a few years in when we're placed inside Bob's cell with Jim Fales (Otto Hoffman), a friendly enough fellow doing a twenty stretch who's on, as he says, the dark side of forty and the steely-eyed Ned Galloway (Karloff). Jim's planning a prison break that the much harder looking Galloway passes on joining because he's "got an appointment with a guy." Turns out Galloway was originally confined on a twenty year sentence but got off in eight on good behavior. With his new found freedom he broke parole by hitting a speakie and getting caught with a drink in his hand. Locked up for the remainder of his sentence Galloway laments that one beer cost him twelve years, but takes satisfaction in the fact that the squealer is on the premises. "I got an appointment with a guy," he repeats. After a failed run at Governor, former District Attorney Brady somehow winds up with the job of prison warden at the home of our pals Bob, Jim and Galloway. 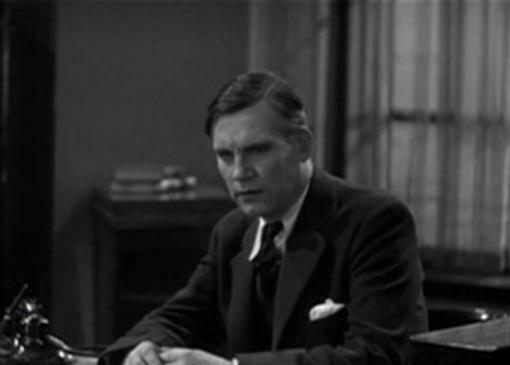 In Howard Hawks: Interviews , by Hawks with Scott Breivold, Hawks says that the Brady character was actually based on a former California D.A. 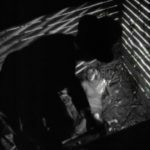 who was convicted and sent to prison where he was hidden from the inmates, many of whom he had convicted, in the prison hospital. Finally the guy had had enough, couldn't take it anymore, and did exactly what Huston does in the film, takes a long slow walk among the prisoners in the yard. It's one of the most striking scenes of The Criminal Code with Huston's Brady pausing to light a cigar and the formerly yammering inmates quieting their intense buzz as he struts among them. Hawks comments on Huston in the same interview, "I liked the picture because I liked Huston. I thought he was the greatest actor I ever worked with. And a wonderful person" (92). Phillips Holmes was an actor who started strong but faded quick. He had already been off the screen for a couple of years prior to his tragic death at age 35 as result of a 1942 mid-air collision on a Canadian military air field. Other than his small part in the classic Dinner at Eight (1933), luck just didn't seem to break right for Holmes after The Criminal Code. He starred in the original adaptation of Theodore Dreiser's An American Tragedy after The Criminal Code's release. Directed by Josef von Sternberg the film was despised by Dreiser and critics alike (I can now say, unjustifiably despised, I prefer it to the critically acclaimed later adaptation A Place in the Sun ). 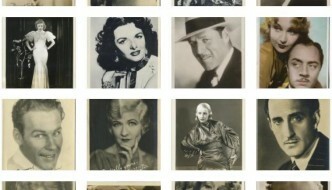 Holmes fared better with another legendary European director in Ernst Lubitsch's Broken Lullaby (1932), and had smaller parts in popular pre-Codes Beauty for Sale (1933) and Penthouse (1933), but then had the misfortune of appearing in notorious flop Nana (1934), Sam Goldwyn's infamous attempt to create his own Garbo in star Anna Sten (And another unfairly maligned oldie). Also on Holmes' slate was an adaptation of Great Expectations (1934), in which he played Pip to mixed reviews in a film that was poorly received. 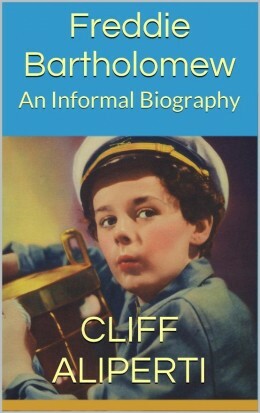 The most notable film left on his resume after that was 1936's General Spanky, the first feature length Our Gang film. 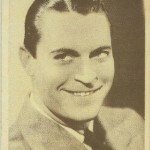 Holmes left films for the stage in 1938, playing Joe Bonaparte in Golden Boy across America, and seemingly forgotten by the movie studios, much to the disgust of columnist Jimmie Fidler who was sure to drop Holmes' name in his column every so often during Holmes' years off the screen. Two weeks after Phillips Holmes' had perished Fidler wrote, "I knew Phillips Holmes very well. I knew him when he was a top-flight star, rolling in money and surrounded by a host of sycophants who professed to be his friends, I knew him after he had gone down the professional skids, lost his money and discovered the real worth of his Hollywood friendships." Furthermore, "the false mourning that Hollywood now displays in claiming Phillips Holmes sickens me," Fidler wrote. He trumpets Holmes' enlisting in the Canadian air force long before Pearl Harbor and concludes "Until he was killed, Phillips Holmes was too unimportant to mention. He wasn't even included in the list. When Hollywood--now that he's dead--attempts to wear him as a feather in its cap the motion picture industry strangely resembles another creatures that wear feathers--a buzzard." Holmes can't compete with the talents of Huston or Karloff in The Criminal Code, but he certainly doesn't do anything to hurt himself. His Robert Graham must go from fresh faced innocent to criminal, first hardened then broken by the system, before being redeemed by love, an emotion so strong that even the automaton Brady admits that "I guess that's the one thing the law doesn't cover." It's the kind of part that could have made a young actor and in that regard Holmes does fall short relying too much on a disheveled appearance and over-the-top histrionics to convey his mental state. He's not aided much by the flat love story with Brady's daughter, Mary, played by Constance Cummings, an actress I usually admire but whose inexperience shows here, in her debut film. Holmes also suffers as the action culminates and Karloff commands our attention. As the dust clears on the final action scene I found myself saying, "Oh wait, there's Phillips Holmes." 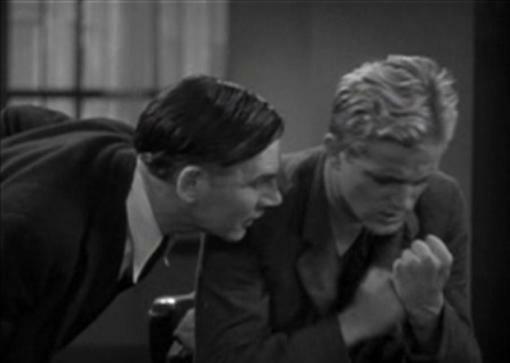 The Criminal Code is an excellent pre-Code prison picture highlighted by the authoritarian presence of fast talking Walter Huston, the menace of the slow moving Boris Karloff and the promise of young Phillips Holmes, a competent, handsome young actor who just couldn't hold on to his early stardom. In the end, the title of this post is probably most correct. If you’ve read any of my recent snarky photo reviews lately you’ll know that this post is right up my alley! I love this post and found it so interesting to read all of your well researched info on my favorite movie genre. Hey Page, just returned from reading and commenting on your Spencer Tracy post, great work! Thanks for your compliments on this one, hope you caught The Criminal Code on TCM when they celebrated Huston’s birthday the other day. Slightly long and sometimes stagey adaptation features top Walter Huston performance along with an especially creepy turn from Boris Karloff in a non-horror role. Very talky prison film, but the talk always feels right. Perfect atmosphere.